We’ve been following the ongoing struggle between the government and several major lenders over accusations (pretty well documented at this point) that major banks were engaging in shady and deceptive practices in processing foreclosures. 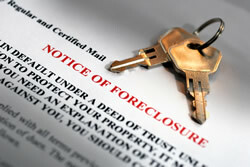 As a result of these practices, many homeowners were wrongfully foreclosed on – hence the pending lawsuit from 50 state attorneys-general and the federal government. Lately, the government and the major lenders have been sitting down at the discussion table to talk about possible settlements designed to punish the lenders and levy fines. Previous proposals included several billion dollars worth of settlements to homeowners who were victims of the banks’ foreclosure practices. One new discussion includes the idea of principal writedowns, or decreases in the amount of principal – and therefore the interest – owed on a mortgage by a homeowner who owns a distressed property. So instead of merely paying money to those who were wronged, the new proposal would have the banks actually taking additional hits on modifying loans and making them more affordable for these homeowners and presumably others who qualify. Not all members of the plantiff’s side are in agreement, however. Several state AGs, including those from Oklahoma, Texas, and Florida, oppose the principal writedown measure because they say it could harm the housing market and discourage lending from banks who would have to pay a considerable price to make the proposal happen. Nothing is a foregone conclusion or set in stone, and discussions are still underway. It is likely that some kind of principal reduction scheme will be put into place in the final settlement, and either way, banks will have to pay up in order to correct their wrongs. In the end, though, it will not harm the housing industry and foreclosure deals are still ready to be had in many markets all over the country.